I didn’t expect to fall in love with Riojan wines – but I have – hook, line and sinker. My conversations with Ana Fabiano, reading her gorgeous book and ultimately testing the wines and pairing them with recipes have made me a big fan. What is most attractive is the region itself. Wine-making in Rioja goes dates back nearly 1200 years. The region is steeped in history, tradition and culture, creating a keen sense of place and giving the wines their terroir. Riojans are aligned with the land. Wine-makers are bottling their great greatparents vineyards. Wines are treasured and the rituals are protected and respected. For example, the Muga family tree extends back 500 years. This is pretty amazing when thinking about the US wine industry. Rioja is 70 miles long by 30 miles wide.The region is still in the hands of the people, unlike the US whose wine industry is in the hands of foreign investors or celebrity money. Ana shares that there are strict regulations by the Rioja Regulator Board as it governs the aging categories. I paired a wine from each of the aging categories with a recipe and did a three-part interview series with Ana Fabiano. 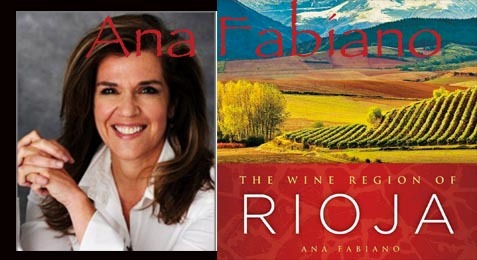 Ana Fabiano and the Rioja Wines of Spain - Part I - Ana Fabiano shares the history of the Riojan Wine Region of Spain. Ana Fabiano Roija Wines of Spain - Part III - Ana Fabiano talks about the royal reds of Rioja. Sue Conley of Cowgirl Creamery. Love her pioneering spirit!! Trisha Runyan from Austin, Texas. A cowgirl in hew own right! Joanne Chang, Founder and Owner of Flour Bakery Cafe in Boston. Melanie Wagner, wine expert and author of Hello, Wine! Julianne Palermo - a fan with a great story! And of course, I want to hear your story. So please contact me to be on the show!! 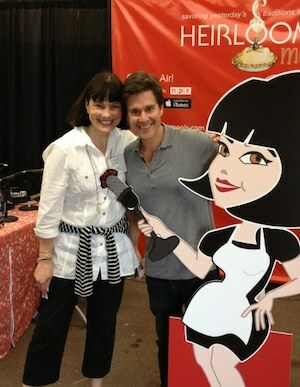 We've been busy here at Heirloom Meals and have gotten a little behind on our radio guest blogs. But we're catching up today and I want to introduce you to three distinct and very interesting people, each of them have a very unique Heirloom story! 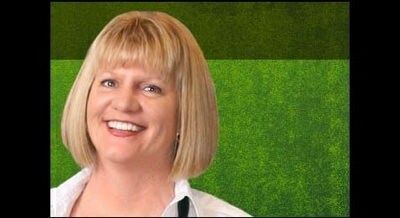 Leslie Reichert is commonly known as the "Green Cleaning Coach" as she has returned to her ancestral ways to create a Green Cleaning Recipe book based on the cleaning recipes of her own grandmother. Find out more about how to clean your house using simple natural ingredients such as vinegar and baking soda HERE. Italian born professor Fabio Parasecoli learned to appreciate food through his travels and co-authored the book "A cultural History of Food". Hear more about his journey to understand culture, history and food HERE. 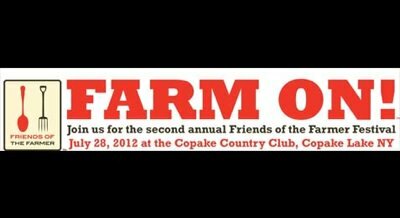 Tessa Edick is a true American-born girl who has used her fond childhood ​memories based around local food and agriculture to create her adulthood business successes; starting a business called "Sauce 'n Love" and selling it to move on to create the "Friends of the Farmer Festival". Listen to Tesse's story HERE!!! Grace Young touched my heart when I first heard her speak at a cookbook conference in February. When Grace decided to spend time with her Mom and relatives in San Francisco chronicling the family recipes, she got the unexpected - stories, wisdom, lore and love. Her journey to preserve her family recipes yielded a far richer experience. In addition, while the original intent was to keep the recipes alive for future generations, another unintended consequence occurred. Grace's Mom has aged. And it's when Grace makes her Mom a treasured family recipe that her Mom perks up. The smell and the tastes take her Mom back to a happy place. So, a project started to help future generations has actually touched an older generation. And now you see why Grace's talk brought tears to my eyes!! 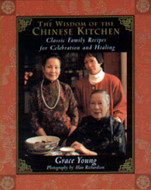 Her cookbooks are an amazing chronicle of not only her family recipes and stories, but also Grace has traveled and collected many other Chinese recipes and stories. Grace, like me, believes that the story is what gives a recipe context. It's what connects us to our past and bridges us to the future! Grace has shared 2 recipes from her books. Chinese Trinidadian Stir-fried Shrimp with Rum from Stir-Frying to the Sky's Edge: The Ultimate Guide to Mastery, with Authentic Recipes and Stories and Vegetable Lo-Mein from The Wisdom of the Chinese Kitchen: Classic Family Recipes for Celebration and Healing . Thank you Grace Young for all you wonderfulness!! I am happy to have met a kindred spirit who shares the same joy of the story! !